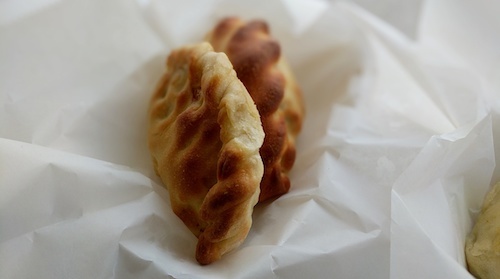 Located in a tiny sliver of space almost at the end of Brooklyn, a little Egyptian bakery has arrived and somehow retains the look of being around for many years. This is partly due to the fact that its owners have moved the operation here from Cedar Rapids, Iowa in mid-2017, where they were in business for 15 years. The small sign over the entrance has the pyramids and sphinx, and calls itself a "Middle Eastern American Fusion Bakery." 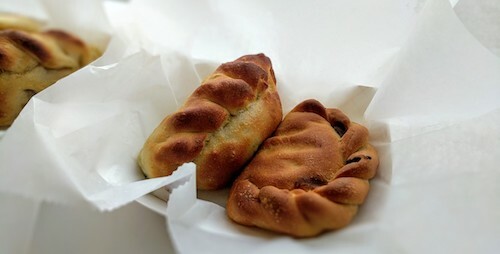 How true to form then that the main offering fatayer, a baked pastry popular in Egypt and the Middle East, is used as a vehicle for beef stroganoff or broccoli and cheese. In Egypt the dumpling or empanada-like pastries might be stuffed with meat or feta or perhaps spinach and use some local spice to enhance, but in Iowa I would assume that this fusion was born to offer something more palatable to a newcomer to the cuisine. You can stick to the classics here as well, there are lamb and spinach options. Most of them are depicted in emoji-like form on the walls, which are covered with the same picture of one fatayer and a new description of what is inside. Best to just walk straight to the case though and see what is fresh. 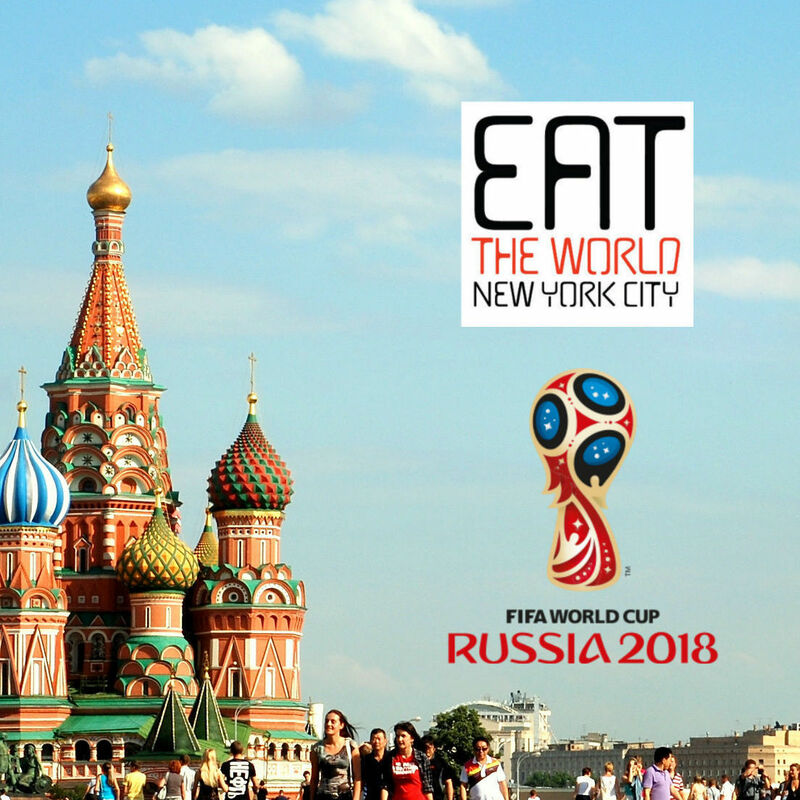 During lunch, the $4 that it costs to purchase two pastries also gets you a salad and drink, and if you are eating in a chance to chat. There is one stool at the window and a small counter if you come in alone, otherwise conditions will be a little tight. If you do get the seat, listening to and watching the comings and goings is a pleasure. The owner is kind to all his guests and again it feels like he has been taking care of customers here for decades. 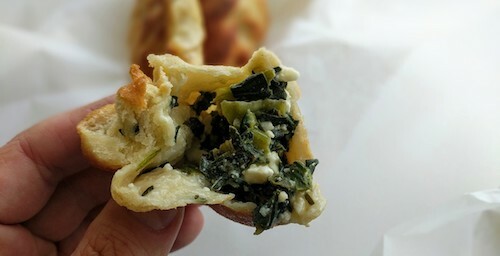 A greek mashup similar to spanakopita (below) is also available and tastes great. The dough of all is chewy and nice, and has a pleasant way of soaking up any moisture from the insides. Yesterday's unused pitas are turned into today's crispy chips, great for dipping in the tahini that accompanies the salad. Little bags of these are for sale daily if you can think of other uses you might have for them back home. 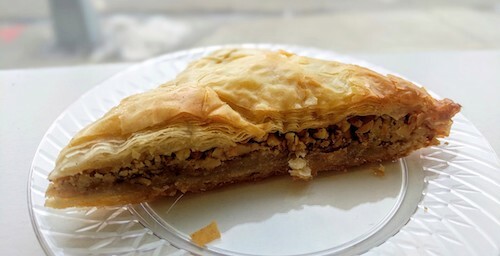 Tic-Tac-Toe also makes their own sweets, and single portions of walnut or pistachio baklava ($2.75) are also available, as well as cookies and coffee. 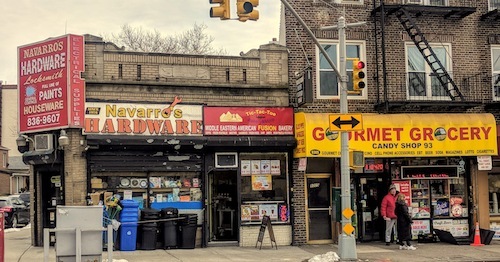 It could be imagined that the most popular of his Midwestern fatayer creations are also desired here at the end of 3rd Avenue in Bay Ridge, far from the main strip of Middle Eastern eateries and shops on 5th Avenue further north. For this crowd, they also make bacon egg and cheese sandwiches and burgers, neither of which were sampled.